A few months ago, I took a trip up to Montreal with the Taste Camp crew to sample the wines of south-eastern Canada. It was a fun trip, and I came back from it with a few dozen new grapes and a case and a half of wine to write about. I was excited, and started working my way through the bottles as soon as I got home. I got through a few of them over the course of a week or so, and some of them were good and some weren't, but all of them were interesting in some way. And then one night I went into the kitchen, and reached for a liquor bottle instead of a wine bottle. I had had a rough day and just didn't feel like I had it in me to give a bottle of wine the attention and focus that it deserved. My days had been getting rougher with more frequency over the period of a few weeks, and I thought maybe unwinding with some brandy would help me recharge my batteries a little bit and I could come at the wine fresh the next day. The next day was worse. It wasn't that bad things were happening to me during the day, it's just that I felt kind of awful for a higher and higher percentage of each day. That night I bypassed the wine again and went back into the liquor cabinet. Tomorrow's another day. But it wasn't, or at least it wasn't in any positive sense. And neither were any of the ones that followed it. Every day the amount of time I felt OK versus the amount of time I felt awful shifted a little bit more to the awful side. The bad stretches got longer and longer until at some point that's all there was. My appetite was gone. I was sleeping poorly when I slept. None of the things I had previously enjoyed doing seemed worth doing anymore. I felt terrible about everything all the time. All I wanted to do was kill time as quickly as possible until I could go to sleep again. I'm not a stranger to depression. I've lived with it off and on for as long as I can remember. Most of the time, the downs are just a little down and don't last very long. This was a big one. Is a big one. It fills up everything. It gets into your senses and changes how everything looks and feels and tastes. It gets inside you and spreads out until it's covering everything, and it somehow continues to grow until it feels like it must start to leak out of your pores any day now. It takes away the things you love and your drive by removing your capacity to love and your capacity for action. It's a grief with no cause and a pain with no source or location. Nothing makes it better. Nothing makes it go away. You wake up in the morning and it's waiting for you at the foot of your bed. And somehow it's gotten bigger in the night, and it grabs you a little harder every day. So, this project, and many others, have gone on the back burner. I can't think about anything but this right now. I'm using all my energy to get from one day to the next. Right now, I believe that it will eventually get tired of me and move along. That's the only thing I know I have to hold onto no matter what. I started this project a few years ago in an attempt to occupy myself during another particularly nasty time in my life. It was interesting and it engaged me and I learned a lot of really cool things in the process. Those wines and this site helped me get back on balance at a time when I was in danger of losing control. Wine has helped stabilize me at several different times in my life. I don't know if it's eventually going to be the answer this time, but it's not the answer right now. So that's why there hasn't been anything new here. And why there may not be for awhile. I really hope it's temporary and I'll have the energy and ability to continue with this very soon. I don't know how soon. I don't know if ever. Thanks to everyone for reading. I hope you'll hear from me before too long. A few months ago, I was invited to a trade tasting of Greek wines. The wines were from the portfolio of Athenee Importers, while the tasting itself was hosted at the offices of Winebow in Somerville. I don't get a lot of invites to trade tastings and I don't end up going to most of the few that I'm actually invited to. I have a day job that generally conflicts with the timing of these things, and, furthermore, it's hard for me to find a tasting that I think might have stuff I can use for this site. On top of that, I don't really believe in reviewing wines that I've only tasted in a walkaround wine tasting environment. I think that large-scale tastings are important, but are really only useful for helping me to identify wines that I'd like to spend a bit more time with. The average person doesn't drink 50 different wines in a night and so I feel like whatever conclusions I draw from tasting in that particular environment are limited. I like to drink wines that I review at home with food in order to really give them a chance to show their stuff. It can be difficult to get full bottles to take home from trade tastings, though, so as I said above, I don't usually go to very many of them. This particular tasting and the organizers behind it (Stephanie Teuwen and her team at Teuwen Communications) did a really great job of helping me get my hands on some sample bottles of really interesting wine that I was able to try there. The room was full of great producers and really cool wines, but I picked out about a half dozen bottles that really intrigued me and Winebow was generous enough to get me some samples. Today I'd like to take a look at just one of the cool grapes that I sampled at that tasting, but I'll be covering the other bottles in a future Odds and Ends post. The grape I'd like to take a look at today is called Avgoustiatis. Avgoustiatis takes its name from the Greek word for the month of August, Αύγουστος (which I think is pronounced like "avgustos"), because that's the month that the grapes get ripe. 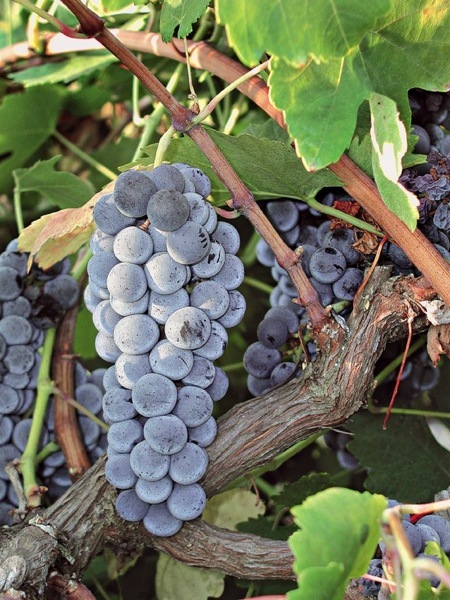 It is found primarily on the western coast of the Peloponnesos and on an island called Zakynthos (which is part of the Ionian islands, where Avgoustiatis is the second most widely planted red grape) just offshore, but Wine Grapes, for unstated reasons, claims that it is likely from the Cyclades Islands originally, which are southwest of the Peloponnesos and just north of Crete. 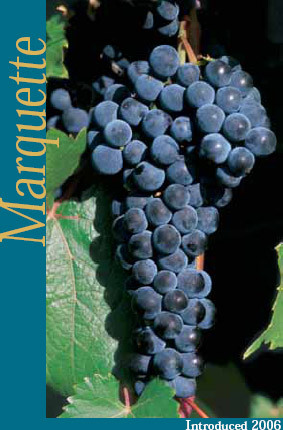 Wine Grapes also claims that there is a possible parent/offspring relationship between Avgoustiatis and Mavrodaphne and cites as their source the Master's thesis of Mihalis Boutaris, published in 2000. Boutaris's thesis is not available publicly, but he was kind enough to send me a copy of it a few months ago, and when I checked his research, his findings actually showed that Avgoustiatis and Mavrodaphne were genetically identical at the 8 microsatellite loci he examined. I was able to try two different wines made from the Avgoustiatis grape, one of which I purchased locally and one of which was a sample from the show I attended. The first was the 2005 "Antares" from Mercouri Estate, which is a blend of (I think) about 80% Avgoustiatis and 20% Mourvedre that is aged for about a year in oak. I picked it up for about $30 from my friends at the Spirited Gourmet. In the glass the wine was a fairly deep brickish red color. The nose was fairly intense with aromas of black cherry, plum, sweaty leather, smoke and animal funk. On the palate the wine was full bodied with medium acidity and medium, chunky tannins. There were flavors of smoke, graphite, leather, black cherry, cedar wood, espresso and meat. It was dark and savory with a lot of earthy, funky animal notes to it. These are a major hallmark of the Mourvedre grape, and I found myself wondering how much of the finished wine's character was due to Mourvedre and how much was coming from Avgoustiatis. Fortunately, I was able to get my hands on a bottle of the 2009 Mercouri Estate Avgoustiatis, which is 100% Avgoustiatis. This wine was provided to me as a sample, so I'm not sure exactly what the retail price on it is. They only make about 2,000 bottles of it per year, though, so it may be hard to lay hands on. In the glass this wine was a fairly deep brickish ruby color. The nose was moderately intense with aromas of smoke, black cherry, and blackberry with a little meatiness and a little sweatiness to it as well. On the palate the wine was full bodied with fairly high acidity and medium tight, grippy tannins. There were flavors of black cherry, blackberry, spicy plum, smoke and charred meat. There was a little bit of animal funk to it, but it was really dominated by smoke and plummy fruit. Having tasted this wine, I understood why the winemaker would think that Avgoustiatis would play well with Mourvedre. They have a lot of similarities, but Mourvedre seems to be a little earthier and funkier while Avgoustiatis is a little fruitier and smokier. Both wines were very good, though, and would be outstanding with grilled red meats (especially lamb). *I'm not really interested in getting into all this again, but I do want to mention to first time visitors that this is one of the biggest problems I have with Wine Grapes (read all about it here). Much of the information is good, but a lot of findings are misreported or mis-cited by the authors, and I find that when I do my due diligence and follow up on some of the citations, the original paper isn't saying anything like what the authors of Wine Grapes are reporting. 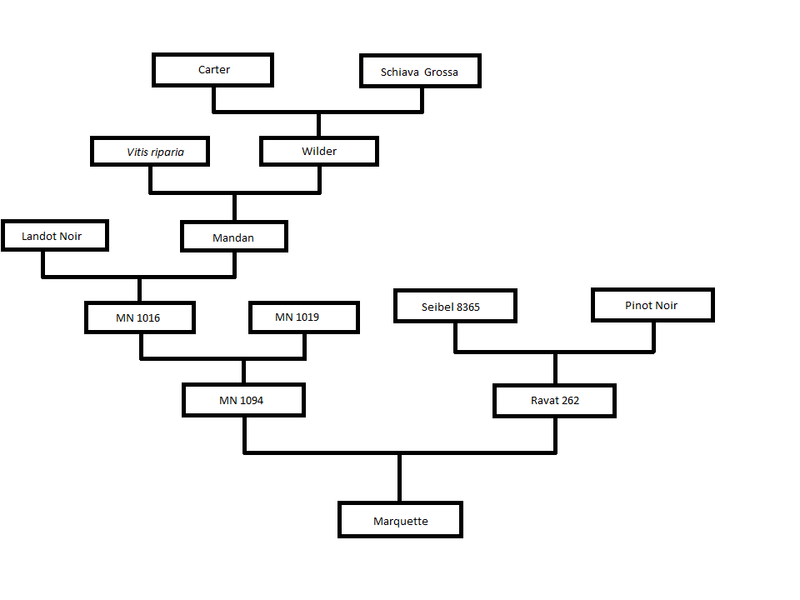 If one were simply reading Boutaris's thesis, the conclusion one would come to about Avgoustiatis and Mavrodaphne is not that they had a parent-offspring relationship, but rather that they were actually the same grape. I'm not sure how they got to the conclusion they got to given the actual information at hand, but it's turning out to be a recurring problem with the book. A few months ago, I received an email from a guy named Noah who said he had stumbled across my site and had some wines that he thought I'd be interested to try. He and his wife had recently started a wine importing company that was focused solely on wines from the Czech Republic and he was wondering if that might be something that would be up my alley. I had never had a wine from the Czech Republic before, so I told him I'd be delighted to give the wines a shot. A few weeks ago, I wrote about the Welschriesling wines from their portfolio, but today I'd like to tell you a little bit about Vino z Czech and also a little bit about Czech Wine in general. Noah Ullman worked for years in the eastern European branch of a major US software company. He spent some time working the Czech Republic and would occasionally go out for a few drinks with his coworkers after a long day. Most of the people would drink beer on these excursions, but Noah noticed that one of his Czech coworkers, Radim, always ordered wine. The Czech Republic is generally known as a beer drinking and beer producing country, so Noah was intrigued by Radim's beverage choice. When he asked him about it, Radim replied "I am from Moravia. We drink wine in Moravia." Noah visited some Moravian wineries with Radim and fell in love with the wines there. When he returned to the United States, he found that Czech wines were virtually impossible to find here, so he decided to change that. Noah and his wife started Vino z Czech a year or so ago as a way to get Czech wines on US shelves. Their model is a little bit different than most importers. Radim is their exporter, and they consult with leading Czech sommeliers to try to find the top estate bottled wines in the country. They work with a handful of producers, but as you will see below, all of the wines are bottled under the blanket Vino z Czech brand, and the specific producer is mentioned on the foil cap and the back label of each wine only. The front labels pretty much give the name of the grape used (all of their bottlings are varietal wines right now) and have different paintings by Czech artist Alphonse Mucha, who you can read more about here. I mentioned above that the Czech Republic is primarily associated with beer, but viticulture in the Moravian region can be traced back to the Romans around the second century AD. Recently, a Roman outpost was uncovered near the town of Pasohlávky that contained many viticultural artifacts, and it is thought by some historians that Grüner Veltliner and Welschriesling were probably introduced into the area during the Roman occupation. Many of the French and German varieties (like Pinot Blanc and Riesling) were probably introduced into the area around the 13th Century as monasteries with monks from those countries settled into the region. More vineyards were gradually planted over the next few centuries, but then the 30 Years War (1618-1648) wiped many of them out. They were slowly replanted and the area received a major boost from the creation of a handful of wine academies during the late 19th and early 20th Centuries, but then Phylloxera first struck in the vineyards in 1890 and wreaked havoc on the area over the next 15 years. During much of this time, the region was actually a part of the Austro-Hungarian Empire, but in 1918, the nation of Czechoslovakia (which contained the modern-day Czech Republic, Slovakia and a bit of land currently in Russia) declared its independence and became a sovereign state. It was annexed by Germany in 1938 and was part of Nazi Germany until 1945. Following World War II, Czechoslovakia became a communist state, which is generally not all that beneficial for a country's wine industry (as we saw when we took a look at the Pinela grape). The Communist government in Czechoslovakia was overthrown in the Velvet Revolution of 1989 and the country peacefully split into the Czech Republic and the Slovak Republic (also known as Slovkia) in 1993. In 1995, the Czech Republic passed Wine Act No. 115/1995 in an attempt to establish wine laws that would bring the country's wine industry into line with the rest of the EU. The Czech Republic formally joined the EU in 2004 and passed Wine Act No. 321/2004, which brought their regulations into line with the rest of Europe. The Czech Republic's classification system is more closely related to that of Germany and Austria, where ripeness level at harvest is the primary determinant for quality level classification. There is also a geographical classification ranging from Region, to Sub-Region, to Village to Vineyard (for details on Czech wine law, you can read more here). Moravia is by far the most important wine making region in the Czech Republic, accounting for 96% of the total vineyard area of the country (there are some vines in Bohemia, towards the northwest of the country, but they are scattered and make up a minor part of the industry). 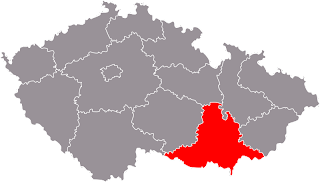 Most of the production is located around the River Dyje in Moravia, and there are four main sub-regions: Mikulovská, Znojemská, Velkopavlovická, and Slovaká (more information about these regions can be found here). There really is no single dominant variety in the region, and most of the grapes grown have been brought in from other countries. For white varieties, Müller-Thurgau leads the way with 11.2% of total plantings, followed by Grüner Veltliner with 11%, Welschriesling with 8.5%, Riesling with 7%, Pinot Blanc with 5%, Sauvignon Blanc with 5% and Chardonnay with 4% (among others). For red vines, St. Laurent is the most widely planted grape with 9% of total plantings, followed by Blaufrankish at 5.6%, Zweigelt at 4.7%, Pinot Noir at 4% and Blauer Portugieser at 3.9%. Vino z Czech sent me eight total wines to sample, all of which were white. I took a look at their two Welschriesling wines a few days ago, and interested readers can check those reviews out here. The other six wines, made from the Riesling, Grüner Veltliner, Rivaner (Müller-Thurgau), Sauvignon Blanc and Pinot Blanc grapes, are reviewed below. All of the wines were from the Moravia region of the Czech Republic, but I'm not sure about sub-regions or anything more specific. These wines are available online here. Again, these bottles were sent to me as samples for review and I was not compensated in any way for these reviews other than with the bottles themselves. The first Vino z Czech wine that I tried was the 2011 Riesling from the Michlovsky vineyard. This wine is available from their online retailer for $19. In the glass the wine was a fairly light silvery lemon color. The nose was moderately intense with aromas of peach, pear, lime peel, lemon, white flowers, honey and chalk. On the palate the wine was on the lighter side of medium with high acidity. It was dry with racy lemon-lime citrus, white peach, and honeysuckle flower with clean, stony minerals on the finish. It was a bit tight and austere right out of the bottle, but with a little time and a little increase in temperature, the hard citrus fruits opened up into more stone fruit and honey. It is drinking well right now, but it is definitely the kind of wine I'd like to be able to revisit in a few years, as I feel like it has the structure to stand up to a few years in the bottle. Fans of Austrian Riesling will definitely find a lot to like here, though fans of softer, sweeter Rieslings may want to look elsewhere for their fix. Next up was the 2011 Sauvignon Blanc, which was also from the Michlovsky vineyard. Retail on this bottle is also $19 online. In the glass the wine was a medium lemon gold color. The nose was fairly intense with aromas of white grapefruit, grapefruit peel, cut grass, cat pee and green melon (in other words, it was a classic Sauvignon Blanc nose). On the palate the wine was medium bodied with medium acidity. There were flavors of white grapefruit, grapefruit peel, white pear, lemon, tart pineapple, cut grass, green bell pepper, chalk and clean river stones. The palate was also full of classic Sauvignon Blanc flavors, but it was backed with a really nice minerality that I found in many of these wines. This wine was much closer stylistically to French Sauvignon Blanc from Sancerre or other parts of the Loire Valley than to the leaner, grassier New Zealand or the big, fleshy California Sauvignon Blancs out there. I thought it was an excellent wine and would have no problem shelling out $20 for it. Next on the list was the 2011 Rivaner from Chateau Valtice ($16). Rivaner is just another name for Müller-Thurgau which hearkens back to the days when it was thought to be the result of a crossing between Riesling and Sylvaner (it isn't, as we learned). The term Rivaner still hangs around, though Müller-Thurgau is really the most accurate name. In the glass, the wine was a medium silvery lemon color. The nose was fairly light and subtle with aromas of pear, golden apple, grapefruit and white peach. On the palate the wine was medium bodied with fairly high acidity. It was maybe just a touch off-dry with flavors of white peach, pink grapefruit, pear, golden apple and honeysuckle flower. It was a mild, delicate, subtle wine that did resemble Riesling to some extent, but with the volume turned down. My primary concern with this wine is that it is bottled with a synthetic (plastic) cork, so if you decide to try a bottle, get the newest vintage you can and drink it as soon as possible. I have found that wines under this type of closure go downhill much faster than those under screwcap or traditional cork. The 2011 Grüner Veltliner from Michlovsky was next out of the box, and it retails for about $16 online. In the glass the wine was a medium silvery lemon color. The nose was fairly intense with aromas of lemon, white peach, braised celery, grass and grapefruit. On the palate the wine was on the lighter side of medium with fairly high acidity. There were flavors of white pear, lemon peel, grapefruit, braised celery, cracked white pepper and a mild, stony mineral finish. If you inserted this wine into a blind tasting of Austrian Grüners, I think you'd probably have a tough time singling it out. Grüner can make a big, powerful wine, but it can also make something a little more delicate, and this wine definitely falls into that latter category. There were really nice savory notes that would help this wine complement a variety of vegetable dishes, especially those with bell peppers or summer squash. It's not something that I would try to cellar, though, so drink it early and drink it often. Vino z Czech offers two wines made from the Pinot Blanc grape from two different producers. The first one I tried was their 2009 offering from the Vyskocil vineyard ($22). It can be difficult to tell some of these wines apart just from their front labels, and for the two Pinot Blancs, I had to use the alcohol content on the front to differentiate the two (this one was 13.5% while the other was 13%). In the glass, the wine was a medium lemon gold color. The nose was moderately intense with aromas of apricot, coconut, pineapple and green melon with a touch of butter and vanilla (there is some oak going on here). On the palate the wine was on the fuller side of medium with fairly high acidity. There were flavors of lime, white peach, toasted coconut, and green melon with a steely mineral backbone. I am a big fan of Pinot Blanc and think it is one of the more underrated grape varieties out there, and this is a really nice example. It's very well balanced across the board and was really a pleasure to drink. A little bottle age probably wouldn't hurt it, but I wouldn't get too crazy with it. Last but certainly not least is the 2009 Pinot Blanc from the Spielberg vineyard, which is Vino z Czech's top offering and costs about $38 a bottle. In the glass the wine was a fairly deep lemon gold color. The nose was fairly intense with aromas of brioche, baked apple, pineapple, butter, cheese, coconut and vanilla. On the palate the wine was full bodied with fairly high acidity. There were flavors of creamy golden apple, pear, toasty brioche, pineapple, toasted coconut, butter, lemon curd and vanilla. This wine also saw some time in oak, but again, I thought it carried it very well and the overall result was a lovely, balanced wine. As a personal preference, I'm not a big fan of oak in my white wines at all, so I found that I preferred the Vyskocil Pinot Blanc, but those who are more tolerant and/or enthusiastic about oaked white wines would be better served with this wine. It's not a style I typically enjoy, but I do recognize that it is a very good wine for those who like that kind of thing. Overall, I was very impressed with the wines of Vino z Czech. Their offerings retained much of the classic characteristics of the grapes they are working with, but they also have a really lovely minerality that makes them distinctive and gives them a sense of place. I will confess that I was not optimistic when Noah first contacted me about trying his wines, but all of them were really lovely. They are just starting to bring some red wines that I hope to be able to try as well, and I will certainly write about them if I get a chance to try them. 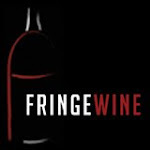 In the meantime, check out their site, try some Czech wines and na zdraví (to your health)!